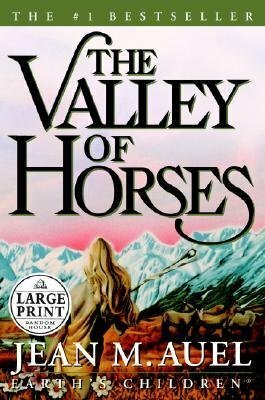 The Valley of Horses continues the life story of Ayla, which was started in the first novel Clan of the Cave Bear. In the first novel, Ayla was condemned by his the new clan chief and her sworn enemy to be cut off from the clan. Shaken and depressed by the turn of events, Ayla had to leave his son to the care of her clan mates and journey on to live to place that is far away from her clan. In her journey, Ayla reached a valley and chose to settle their. She persevered and learnt to live on her own in that valley until he found another man, named Jondalar of her own race, who taught her that she is not alone and she could live again. Once again, I was amazed by Ayla. Her struggle to continue leaving despite her being cut off from the clan is worth reading for. Her determination to live kept the story moving and the very thing that kept me interested in reading this novel. However, this book is not about Ayla only but is also about [Insert name here] whose story runs parallel to Ayla’s story. I found the story of Jondalar uninteresting so I skipped all chapters that are about him. All in all, this novel is another good work from Jane Auel. My only wish is that she should have modified the story of Jondalar to make him as interesting as Ayla. Ayla’s character is too strong than Jondalar character. Visit Before the Eastern Sunset and read about my travel to Lucban for their Pahiyas Festival. Also read my reason why I will not buy another edition of the Philippine Daily Inquirer in my socio-political blog, Paradoxic Ley Line.